Whether you are a first-time homebuyer, relocating or simply want to renegotiate, mortgages don’t exactly lay down a welcome mat. Now that warmer weather is in the forecast and home-buying season is getting into full swing, Josh McConnell reviews some of the free mobile applications that can help you make sense of the complicated mortgage process so you can get on with the fun part of buying a home. At a glance This is the app everyone loves to talk about when it comes to mortgages. When asked, both homebuyers and mortgage specialists alike wholeheartedly recommend it. The developer says it has been used more than 2.1 million times with more than 3,000 five-star reviews in the various app stores. Impressive. What to expect The interface is incredibly easy to use and slick — from the way numbers are inputted to the slider bars to the side menu. 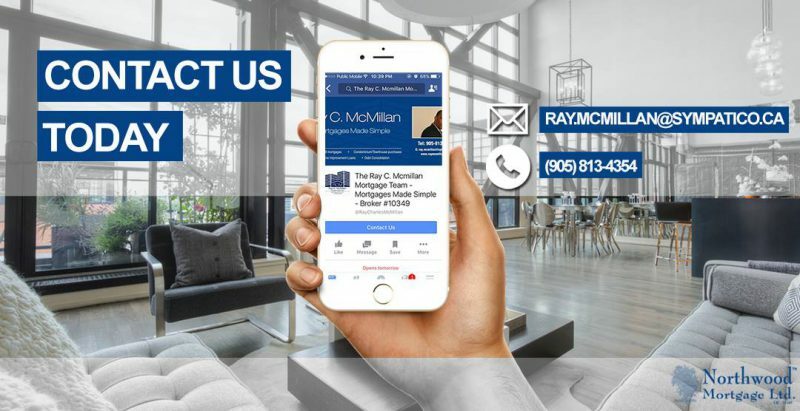 But, most importantly, it is loaded with information and rates to help you calculate exactly what you need, whether that’s a variable rate, fixed rate, weekly vs. bi-weekly payments, factoring in income from a tenant, or numerous other variables. Additionally, based on location, it can also calculate first-time homebuyer rebates and land transfer taxes. Bonuses There is a database of local experts for you to search, which is convenient if you want an all-in-one solution. The app also has some nice extras like graphs, an affordability calculator and the option to expand your amortization schedule. But… The list of local experts seems to be the developer’s own database, which the experts pay to be in (a source of revenue for the company). It would be nice to have it linked to other databases or even real estate listings for a truly complete solution. At a glance A helpful mobile app offered by the CMHC, which provides mortgage loan insurance, to help you “make informed choices” when buying a home. The app doesn’t just help you figure out what you can afford, but it also explains the terminology, which can sometimes be confusing. What to expect Whether on a phone or tablet, the app is very straightforward. You build a profile by answering questions — everything from “Is homeownership right for you?” to “Are you financially ready to buy a home?” — and then the app tells you what you can afford, or whether you can afford a home at all. Bonuses More than a simple mortgage calculator, the app offers some next-steps advice once you’re a homeowner. The app also offers a very handy glossary of terms to help you make sense of everything. Finally, if you are a professional, CMHC also has a Mobile Kit app that works with Ready Set Home. But… In terms of design, Ready Set Home is pretty bare bones and certainly nothing fancy to look at. It also needs an Internet connection to reference the various articles and glossary. That said, the app does what it needs to do quite well. At a glance Sometimes you just want something that does one job without the clutter. This developer says his app takes the complexity out of estimating mortgage payments, and it’s hard to argue with him: There is no branding or advertisements, just calculations. What to expect The app is very minimalistic in its layout, but colourful and aesthetically pleasing at the same time. The developer says it performs all calculations according to Canadian mortgage regulations using Bank of Canada rates, so you just input figures and quickly get an answer. Bonuses In addition to calculating interest semi-annually and not in advance, the other option is to switch over to annual compounding, which is an American standard. But… There really isn’t much else here. The app is essentially a calculator offering approximate payment information stripped of the fees or costs a bank might price in. At a glance If you just want a basic mortgage calculator, there is a very good chance your bank offers some sort of solution. Some have mobile applications, while others simply use your computer’s web browser for an easy option. What to expect Bank of Montreal’s My Home app offers a mortgage calculator, direct line to its in-house specialists and ways to keep track of properties. Meanwhile, Bank of Nova Scotia’s app is more for property-finding than anything else, though it still includes Scotiabank’s in-house mortgage tools. Bonuses Most other major banks, including Royal Bank of Canada and TD Canada Trust, offer some sort of online mortgage calculator through their website. If that is all you need, then it could very well be the better option since a web-interface should work on most devices. But… Though it can be handy having a tool offered by the financial institution you already do business with, be aware that the bank’s tool will generally point you in the direction of its own products. You could very well be missing out on something from competitors if you don’t take the time to look around. At a glance Okay, so these aren’t about mortgages, but instead about what happens after you lock in. You have a new house and now you need to decorate it. Some companies offer fun applications that let you shop furniture and décor by digitally placing items around your home. What to expect Ikea offers a Living Room 3D app (plus apps for other rooms such as the bedroom or bathroom) that lets you create your own room using their products, while also sharing them with a community of other users to compare ideas. There is also Houzz Interior Design Ideas, which lets you take photos of your own home and insert items from a digital catalogue from various companies. Bonuses Even if there aren’t any products that you like the app’s listings, the decorating exercise is enough to stimulate creativity. At the very least, you can walk away with some great ideas for what types of items you want for each room and then it is just a matter of finding something similar. But… Most of the time, the app wants you to create an account to use its full functionality. Plus, free apps are generally used to push products (which is how they make money) instead of truly fostering the design process, so it might not have all the features of the expensive design-focused apps you see in various digital stores.